Tube amps are an exciting and eye-opening part of playing music. In this buying guide, I want to take you through some of the most important considerations for what makes a good tube amp and then show you what I think are some of the best options for you to buy. A good general pick is the Fender SuperChamp X2, an all-around star, but I will talk about a lot of other options to help you get inspired. 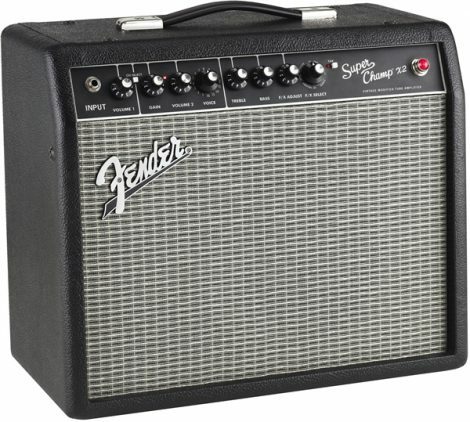 Our recommendation, at least if this is the first tube amp you will ever own, is Fender’s SuperChamp X2. Its 15 watts produce a great tone through two channels. Excellent range of onboard effects and simulations. I have been playing guitar for years, and I have spent many hours researching the best amps, especially tube amps. 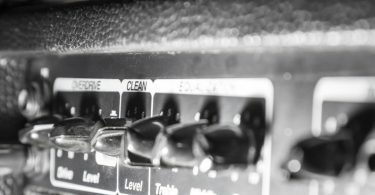 My goal is to write a guide that tells you not just which amps are best for different roles, but also cover what to do if you prefer a particular genre or are buying on a budget. My ultimate goal is a comprehensive overview that doesn’t just list different amps but helps you refine your search to find the ideal tube amp with the effects that are best for you. My ultimate goal is a comprehensive overview that doesn’t just list different amps but helps you refine your search to find the ideal tube amp with the effects that are best for you. The biggest determinant of how loud an amp can get is its wattage. The right size of amp for you depends on where you plan to use it. 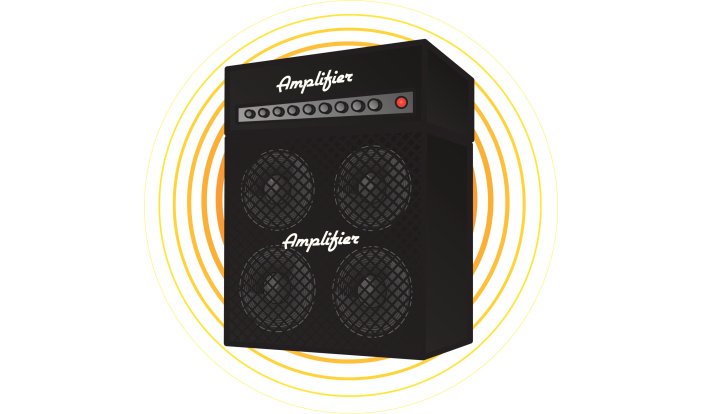 An amp for home should be smaller so as not to annoy the neighbors, especially if you are in an apartment. That would put you in the 5-20 watt range. 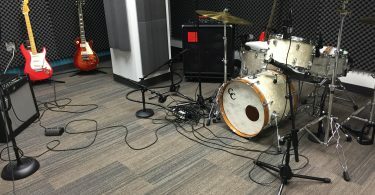 These are sometimes called practice amps because they are good for use in small spaces and low-intensity environments. More wattage does not just mean more volume. It also determines where the sound starts to get overdriven as a result of pushing the tube hard. Higher wattage also means more weight and frequently a higher price. There’s an argument that the number of watts might be the single most important number associated with an amp’s performance because it affects so much. Think carefully about where and when you plan to use your tube amp and what that implies about the right amount of watts in your ideal amp. 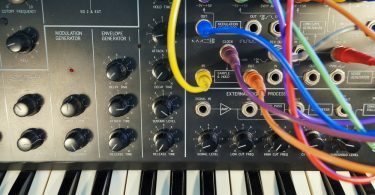 Consider how the room and space will also interact with the type of music you want to play and other gear you may want to incorporate into the signal chain. It is a good idea to listen to some example amps in person so you can hear what different watt levels sound like. There are hosts of effects and features that can come on tube amps. For example, preamps and equalizers play a huge role in shaping the sound of an amp. Signal loops let you inject some alterations using other gear. Multiple channels give you options for how to blend overdrive into the mix. Typically, one channel will be clean and a second one will have gain. Some tube amps have onboard reverb and other effects as well. 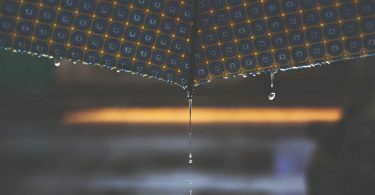 Each element has the potential to alter your sound in a potentially unappealing way because it adds more noise to the signal, so be wary of loading up on too many effects. You will need to strike a balance between the effects you add at the amp stage and the ones you add earlier in the chain with pedals and stomp boxes. 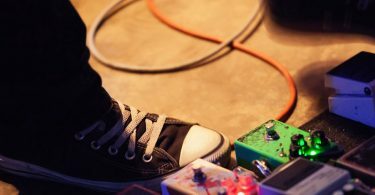 Guitar gear gets better when it is more specialized, so it behooves you to get a simpler amp and pair it with specific pedals, rather than to try to get an amp that can do everything. If you want a general amp that has lots of effects, there are plenty of solid-state amps that simulate different effects digitally. In the world of tube amps, you are better off letting the raw tone shine through. Amps can become very expensive very quickly, and that does not always mean they are better. It is easy to spend a lot of money on guitar gear, so going into a purchase like an amp means you really should have a predefined budget. Do not let yourself be convinced into spending more than you had planned, because that can be a deep hole. If you are looking for a certain amp because your favorite band or musician uses it, then the manufacturer likely has a discounted version of that same amp for sale. Most amp makers have many product lines aimed at different budgets, so if one seems out of reach, there is likely a cheaper equivalent with most of the same features. That is a big part of searching for the right amp. Older tube amps are not necessarily cheaper because they might have vintage appeal or other features that make them stand out. An old tube amp that has been taken care of will sound just as good as it did originally. The most pricey ones are the true classics, which can be quite old, but because amp companies like to reissue their best hits, you can get just about the same sound without having to buy the original model. 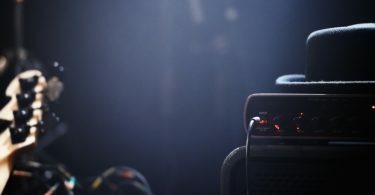 Amps can come in two different form factors: either one unit, which is usually called a combo, or in two parts, the head and the cab. The head does the work of boosting the signal, and the cab is the part that converts the signal into actual sound. The combo does both jobs in the same body. Getting them separately allows you to customize your sound a little more and swap between different pieces, while combos are often more convenient. Heads and cabs used to have an edge in power, but a modern combo is plenty strong enough for gigs. It is up to you to decide which you prefer. In general, combos are easier to work with unless you are a touring pro and you know exactly what you want already. To settle on one single best amp for you, I have to make some assumptions about what you are looking for. Specifically, I figure that if you are reading this you are likely buying one of your first amps, if not the first tube amp you will ever own. I will also assume that you want something a little on the smaller side and with some flexibility in preferred tone. With all of that said, I strongly recommend Fender’s SuperChamp X2. It is a 15-watt combo with some great features. It produces a great tone through two channels, and you can use a separate footswitch to select them. The big draw is a huge amount of onboard effects and simulations. The voicing knob lets you pick from 16 different styles, each of which sounds quite different, to customize your sound. The effects knob gives you 15 different effects and some deep customization about their strength and timing. What’s more, you can expand the repertoire by using the USB port and Fender’s free FUSE software to get official and community settings that help you emulate more amp styles. Essentially, the SuperChamp is a small tube amp with the capability to model bigger ones. That is perfect for the entry level because it lets you explore a lot of different tones and effects. Later on, you can decide if you want to invest in an amp that specializes in a certain tone or a pedal that is better at a certain effect. If you do decide to stick with the SuperChamp, there is an easy upgrade that you can carry out: run it through a bigger cab. That will let you use the same tone-shaping ability but drive it through a bigger speaker, buying you more volume and making this a more gig-friendly amp. At $399.99 a price that is quite reasonable for a tube amp. If you have experience with a solid-state amp and are looking to move into the tube world, or if you just want a good tube amp that is small enough for home practice but can also push you through small gigs, then the SuperChamp X2 can get that done at a reasonable price. 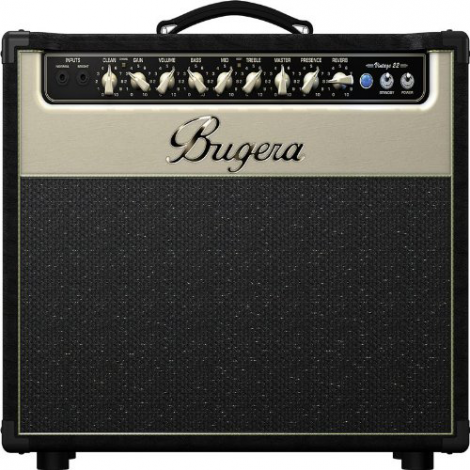 For a simpler and more powerful tube amp, I like the Bugera V22 . As the name suggests, it has 22 watts of power under the hood. The V22 lacks the effects and modeling tools of the Fender but makes up for it with a strong 60s-era sound. There are two channels and an onboard reverb. This amp is best for midcentury classic rock, jazz, and blues, but there is a lot you can do with the Bugera as long as you do not need to really load up on gain. Typically under $350, you can save a little money on this one and still come away with a standout sound. The biggest advantage to the Bugera V22 is the amount of power you get for the price. 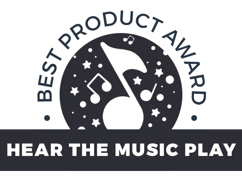 The value is excellent, especially considering the quality of the sound. You can take this to gigs or use it at home with no problem at all. This is your go-to for the stereotypical British sound. It can outperform amps of significantly higher prices and it is durable enough to keep rocking out for years. 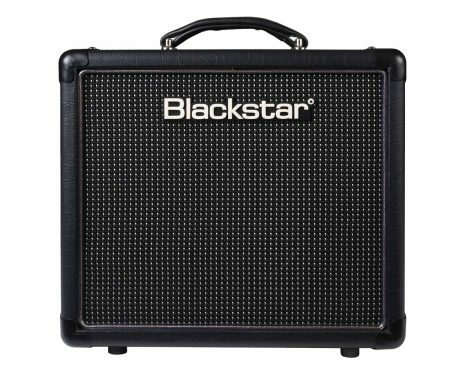 If you want to try out something small, consider the Blackstar HT-1. It’s just one watt, but it can put out a surprisingly big sound for that power. The goal of such a low level of wattage is so that you can break up the tubes at a low volume level, making the HT-1 perfect for practice. It might be too small to make a good gig amp, but if you want a warm overdrive and a nice reverb on top of that, you can get those at a very comfortable volume and for just Out of stock. 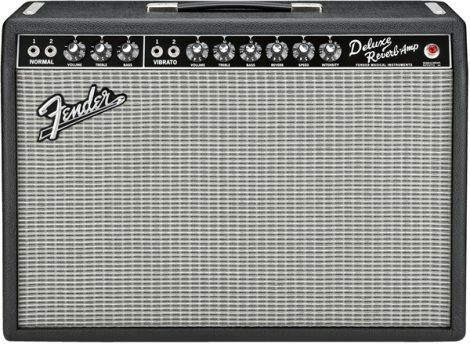 On the opposite end of the spectrum, check out the Fender Vintage Reissue ’65 Deluxe Reverb. At over a thousand dollars this amp needs to bring it in a big way. It is 22 watts, just like the V22, but it has a modernized internal design to mimic the ’65-era Fenders. Those amps are so legendary that there are still originals floating around today, and they are in high demand. This reissue is significantly cheaper, although it is still quite a bit more than the other amps so far in this guide. It has a beautiful tone with tube reverb and vibrato to get you exactly what you want. Don’t expect to get the highest overdrive out of this amp, but that is not what it is meant to do. This amp perfectly captures the Blackface 60s style but with modern electronics. It has an American vibe as opposed to the British feel of the Bugera. Consider this a reach option due to the price, but it does live up to the cost. Moving on to something heavier, the Marshall DSL40C is a big 40-watt beast capable of massive distortion and some great tones. It has a clean/crunch channel and an “ultra gain” channel with two different lead tones. Each channel has its own volume and gain, and the is also a full EQ with a presence knob to control the low end. The tone shift switch can scoop the mids out for a more aggressive tone. The amp has a signal loop and foot switch ports as well as speaker output. The 40 watts driving it can put out a lot of volume, but for home use you can turn on the half-power mode that drops it to 20 watts, which is much more manageable in practice settings. At Check on Amazon it is surprisingly affordable for a full-featured and professional Marshall amp. It is big enough to take to gigs, and you can use it to record as well. 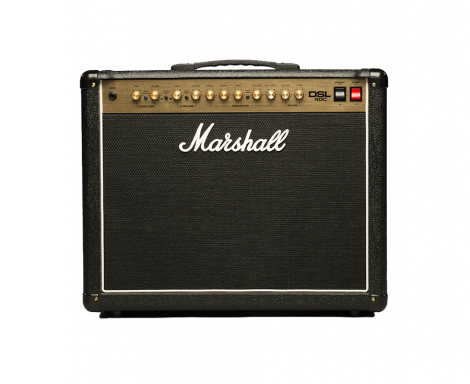 If you are looking for the uniquely Marshall line of overdriven tones, you can find it all in the DSL40C thanks to the many different combinations of settings. It also has a digital reverb. 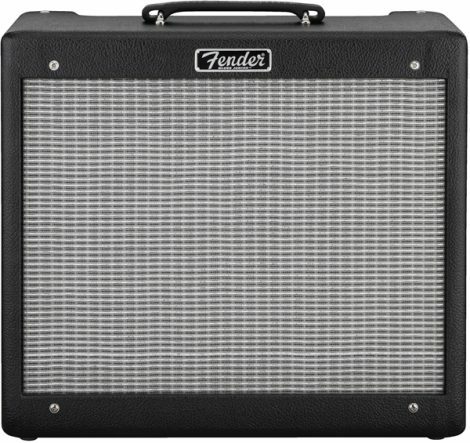 For something on the cleaner side, you will want to see the Fender Blues Junior. The Blues Jr. captures everything that makes Fender great in a 15-watt package. It has transcendent clean tones with some bluesy drive, a great classic reverb, simple EQ, and nothing else. If you want the best clean tone around, the Blues Jr. can take you there. You can take the pure sound on its own or put some pedals in front of it and use that clean channel as a base. There’s no effect loop so get the pedals in first. It is big enough for gigs but small enough to carry around easily. Rumor has it that even Eric Clapton has spent some time with a Blues Jr. With a price tag around Check on Amazon it is not the cheapest 15-watt amp you will ever buy, but just by listening to the tone you will understand that this is a good deal.